Perhaps because of the angle that I took yesterday's photo at it wasn't quite as obvious that the photo was of an old wind-powered grain mill. 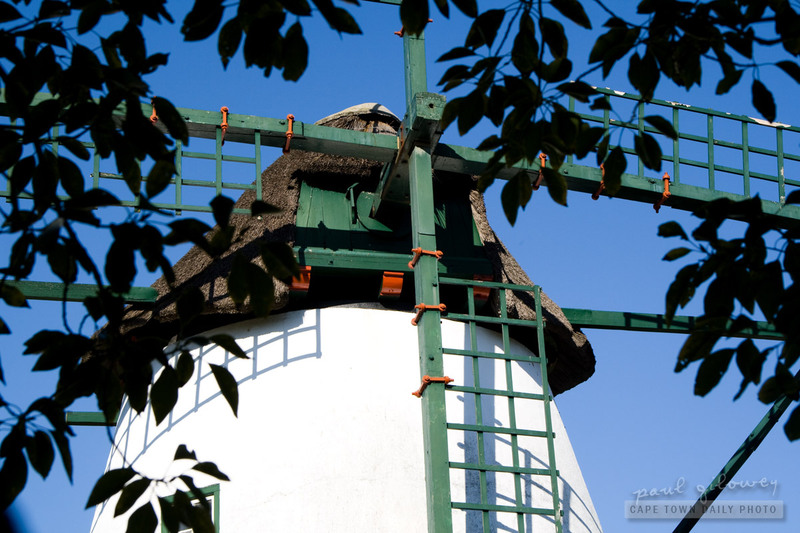 As I indicated in one of my comments on yesterday's post - I wasn't even aware that Durbanville had such a mill and only by chance caught a glimpse of it as I drove down a road, in one of the town's residential areas, that I don't normally use. Do you know this mill, and could you point it out on a map? Posted in General and tagged buildings on Monday, 15 August, 2011 by Paul. Ha ha – well done Marius! You’re perfectly correct. Now you’re just rubbing it in Paul! Lovely shot with the foliage framing the building.